Ruddle helped pioneer human gene mapping and established many of the techniques and a framework for setting up the Human Genome Project. He is also known for having generated, with Jon W. Gordon and George Scango the first successful transgenic mouse. This heralded the development of genetically modified animals as research models to investigate the function of genes and genetic cause of disease. Ruddle also discovered, with William McGinnis, the first human homeobox genes, important regulators of gene development. Frank (Francis) Hugh Ruddle was the son of Thomas H Ruddle and Mary Henley Rhodda Ruddle, who were British citizens that migrated to the USA. Ruddle was born in West New York, New Jersey, and grew up in Mariemont, a suburb of Cincinnati near a tributary of the Ohio River. The river provided endless fascination for Ruddle during his childhood, which he regularly scavenged for flotsam and jetsam alongside exploring his textbooks. In 1965 Ruddle married Nancy Hartman Ruddle, an immunologist who completed her PhD at Yale University in 1968 and went on to become known for her discovery and analysis of lymphotoxin, a protein generated by T-cells that has an important role in the immune system and the destruction of tumour cells. The two of them settled in New Haven and had two daughters, Kathryn and Amy. Their home was known for its good food and open doors. Ruddle was a passionate sailor and enjoyed cooking. Ruddle described himself as an indifferent student when he was young. He dropped out of high school in 1946 to join the Air Force which posted him to Japan. In 1949 Ruddle left the Air Force and took advantage of benefits afforded by the GI Bill (Servicemen's Readjustment Act of 1944) awarded to veterans, to pursue undergraduate and master's degrees at Wayne State University. These he completed respectively in 1953 and 1955. Ruddle then undertook a doctorate in zoology under the supervision of Morgan Harris at the University of California Berkeley, which he finished in 1960. His research focused on chromosome patterns in established cell cultures. Following his doctorate, in 1960, Ruddle decided to pursue his interests in somatic recombination by becoming a post-doctoral researcher at the University of Glasgow in Scotland working with the geneticists John Paul and Guido Pontecorvo. A year later he joined Yale University where he stayed until his retirement in 2007. During this time he had several positions within the zoology and biology departments and helped set up the Human Genetics Department at Yale University Medical School. 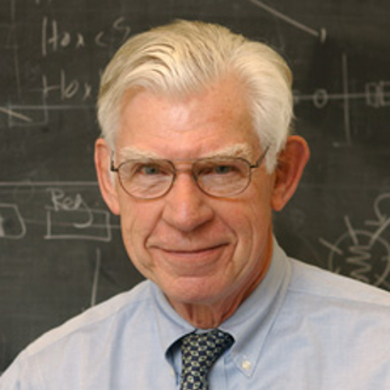 Ruddle was the president of the Society for Developmental Biology (1971), the American Society of Human Genetics (1985) and the American Society of Cell Biology (1987). He also served 10 years on the board of the Science Park in New Haven helping to oversee the setting up of several biotechnology companies. Commercially, Ruddle was involved in the launch of Genaissance Pharmaceuticals and CuraGen Corp and a co-founder of Molecular Diagnostics Inc. and Molecular Therapeutics Inc. Ruddle was also a member of the National Research Council Committee that encouraged the setting up of the Human Genome Project. Ruddle was at the forefront of the development of somatic cell hybrids for human gene mapping in the early 1970s. His techniques allowed for the mapping of genes on chromosomes. In 1974 Ruddle organised the first Human Gene Mapping Workshop, an event that reoccurred many times in subsequent years. Attracting scientists from many different disciplines from around the world, these workshops provided an important framework for Human Genome Project. Ruddle was also a pioneer in the development of the first computer database that provided the basis for the first public repository of all human gene mapping data. In 1980 Ruddle and his colleague Jon Gordon successfully introduced foreign genes into a mouse thereby creating the first genetically modified animal. It was on the back of this work that Ruddle and Gordon coined the term 'transgenic'. Their transgenic mouse set the stage for an explosion of research using genetically modified organisms to study the functions of human genes and genetic diseases. In 1986 Ruddle founded, with Victor McKusick, the journal 'Genomics' with the objective of recording the development of different fields involved in gene mapping. Ruddle received numerous honours for his work. This included election to the National Academy of Science (1976), the American Academy of Arts and Sciences (1977) and the Institute of Medicine (1985). He was also awarded the William Allan Memorial Award by the American Society of Human Genetics in 1983.